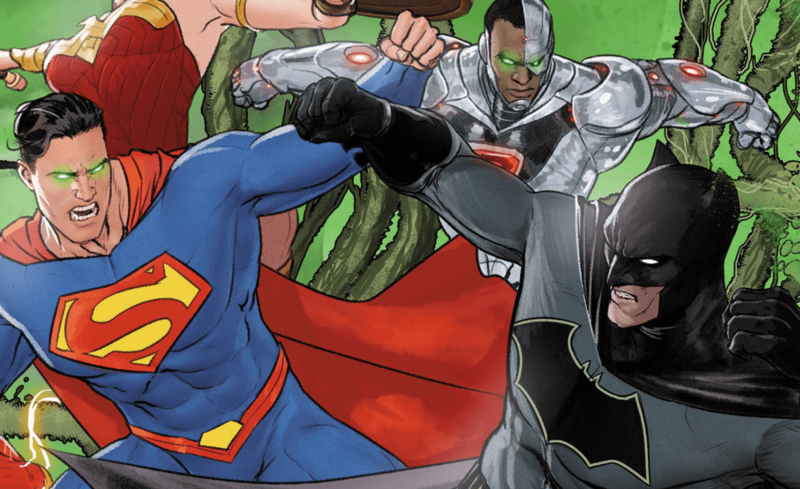 Batman #42: Bat and Cat under house arrest courtesy of Superman – AiPT! Warning: Mild spoilers for Batman #41 and #42. It’s a problem that all couples have to face eventually. Superhero couples, anyway. You know, being restricted to the confines of one’s own home while a supervillain hellbent on a worldwide purge runs rampant. It’s the situation Bat and Cat face in the upcoming Batman #42, after it was revealed in Batman #41 that Poison Ivy had sown her seeds of mind-controlling influence across the globe, extending her dominion over everything and everyone — except for Batman and Catwoman. But King isn’t one to retread old storylines without adding his own nuances to the mix. And something tells us Batman doesn’t have any Kryptonite rings laying around thanks to his current, prep-time-less circumstances. Given that Rebirth Catwoman has been more integral to Batman’s narrative than ever before (see Batman #35 or Batman Annual #2 for more proof), could we be seeing something like this take place instead? Batman #42, the second installment of “Everyone Loves Ivy,” hits shelves on March 7th.